It’s almost unavoidable on social media this month. Tons of photos happy college graduates in caps and gowns are filling your feed. 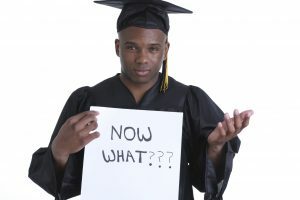 But what kind of future awaits these new job seekers, especially those new grads looking to go into PR? In 2013, PR Daily published this advice for PR and communications graduates, and while much of it is still sound, we at Wellons Communications wanted to provide an update. Here’s our take on what today’s PR graduates should know. In today’s media landscape, it’s easy to discount the old-fashioned pen and paper and chase the next social media craze. And while social media is certainly an important tool today, we agree with PR Daily here: Writing skills are essential. Whether you’re crafting a news release, media pitch, award application, email—or yes, even web copy, a Facebook post or tweet—it’s all about being able to effectively put your ideas into words. Agency life is a great way to gain experience. Again, this is solid advice from PR Daily. Working in an agency gives you the opportunity to build skills in a way working for a client doesn’t always. You get to be a jack of all trades, becoming a pro at working with media, crafting social posts, planning and running events and communicating with clients. You also have to learn to be organized and to juggle multiple projects on varied topics—all skills that will transfer to a variety of fields and positions. When employers look at your résumé, you want to jump off the page. One way to add depth to your job applications is to build an online portfolio. It doesn’t have to be fancy, but this is one way to share more about your style and personality with employers. Be sure to include a short summary of your work and professional interests, a link to your résumé and links to work you’ve done in internships or classes. Also, don’t forget to update this so you can be ready when the next opportunity comes. And while you’re working on your online persona, now is a great time to give yourself a social media makeover. As fun as it is for you to live tweet The Bachelor or the NBA finals, employers might not be as interested. Have fun, but add your voice to industry topics. Also, check to make sure your privacy settings are where you want them to be—or just remove any materials you wouldn’t want a potential employer to see. You’re young, you’re excited and you have so many ideas. It’s hard not to get cocky about your job prospects. But just like when you went from being a senior in high school to a freshman in college, you’re the low man on the totem pole again. Don’t expect to be in your dream position right away. Nearly everyone has to start from the bottom and work their way up. Also, the job world might be different than your college classes. The best way to overcome it is to stay positive, work hard and try to soak in as much as possible. You might not know everything now, but you can learn more each day.